New Zealand - Click on the map to get a enlarged image in PDF format! 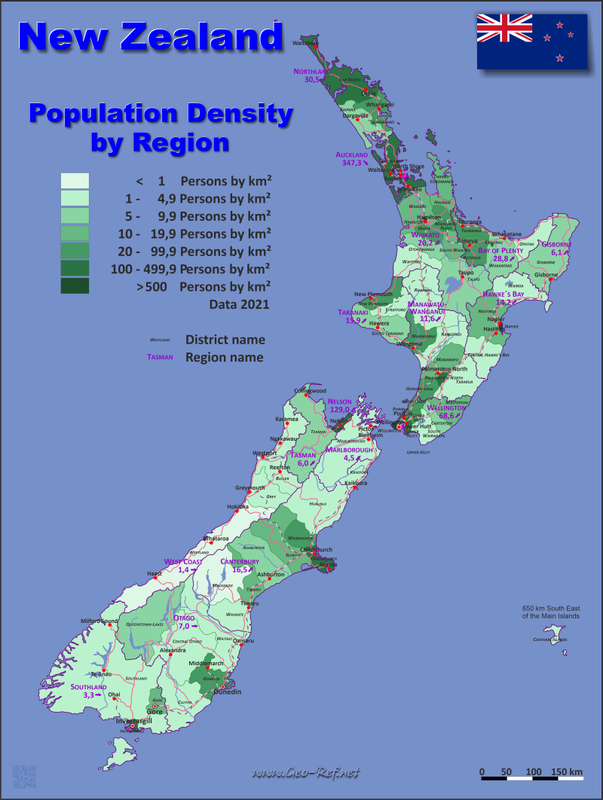 In addition to the regional structure Zealand is divided into districts. The following table illustrates this structure.